Dazzler Tower, Buenos Aires discount hotels and accommodation. 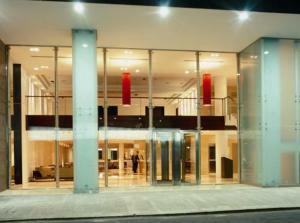 This superior 4 star hotel combines modern and practical design with the very best of service. In its development every detail was planned to please our guests and accommodate their needs. Located at the very centre of Buenos Aires with excellent transportation and near the most important and famous tourist attractions. By staying at our hotel you will, therefore, make the most of your time. Your visit will be enhanced as a tourist in our marvelous city and as a businessperson our central locat. View photos, room descriptions and make online reservations at Dazzler Tower. Save on room prices at Dazzler Tower, Buenos Aires.